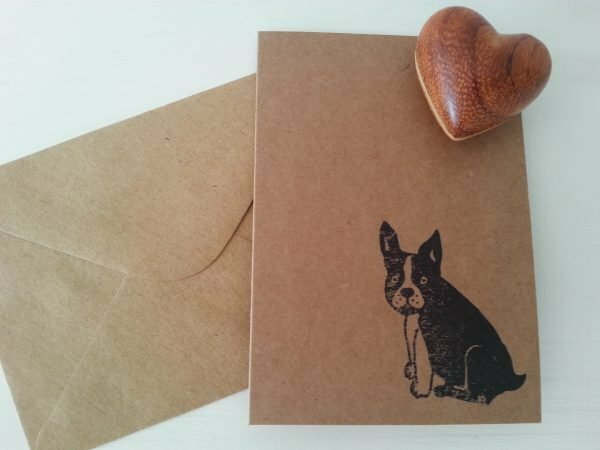 Home | By Product | Greeting Cards | French Bulldog Greeting Card. A7 Notecard. 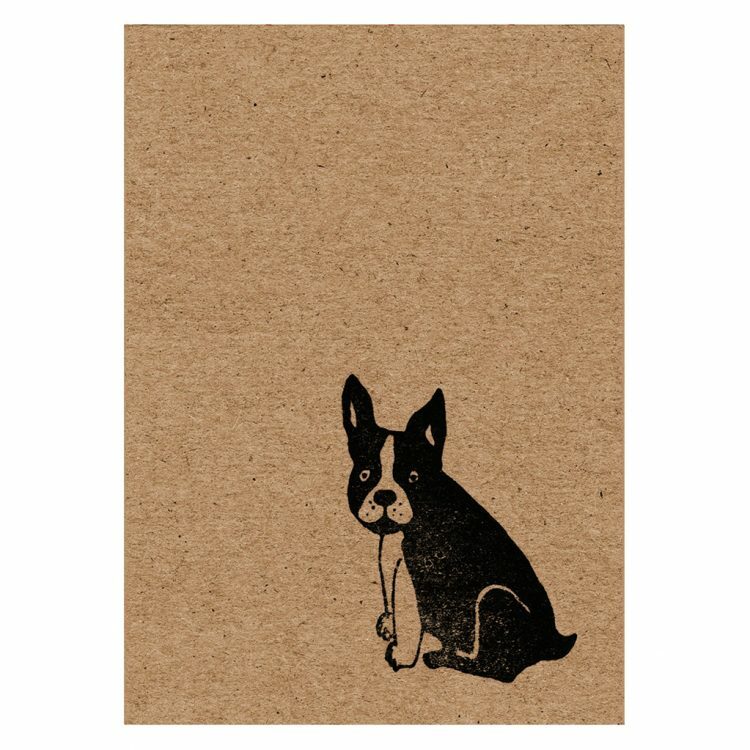 French Bulldog Greeting Card. A7 Notecard. 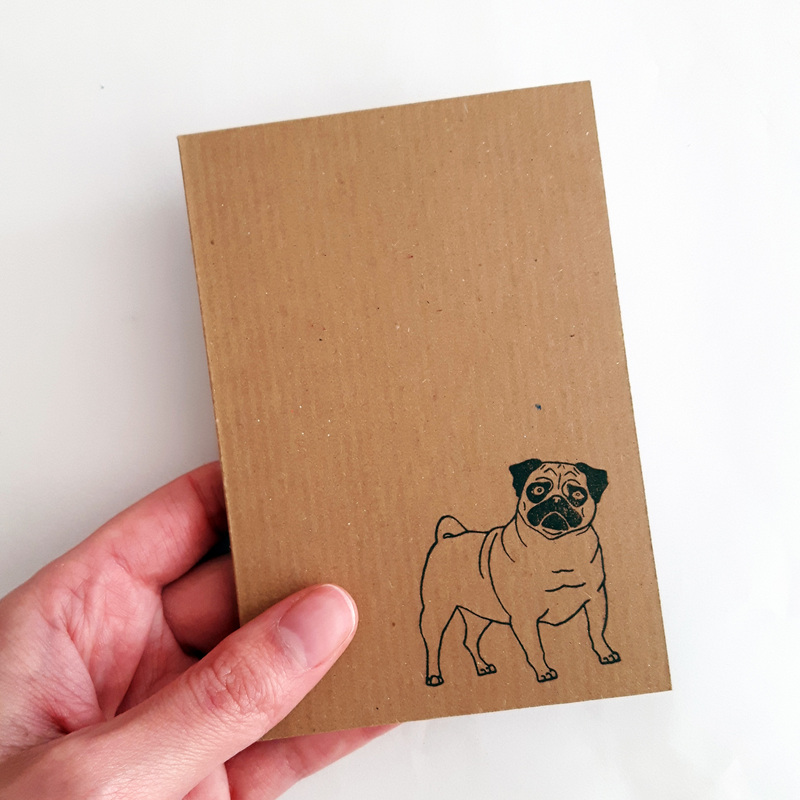 A mini A7-sized notecard, featuring Frank the Frenchie. 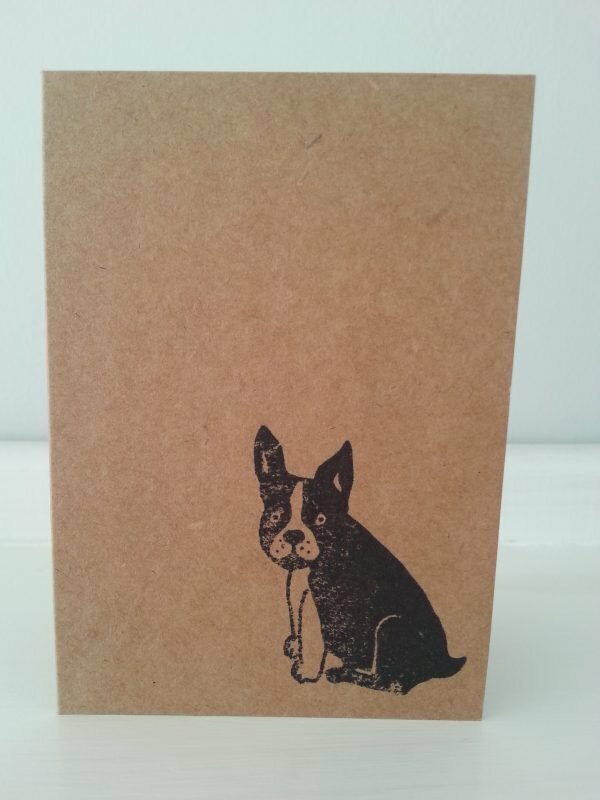 A French Bulldog greeting card, perfect for any occasion. A cute, mini A7, kraft greeting card, featuring my little Frenchie, Frank. You can choose to purchase just a single card. 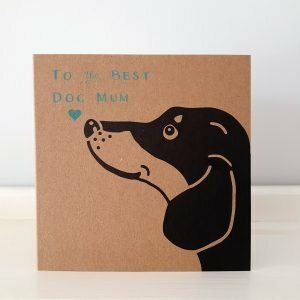 However, you can also choose a pack of 5 cards – this would be perfect for sending out invites or thank yous. 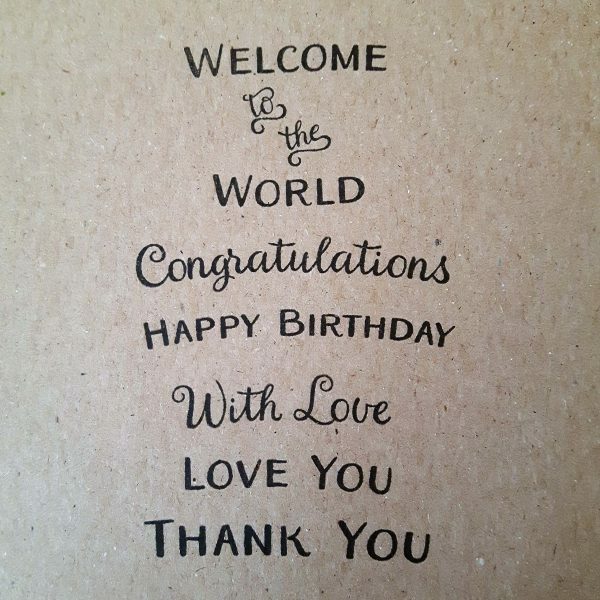 The cards can be left blank for your own message. 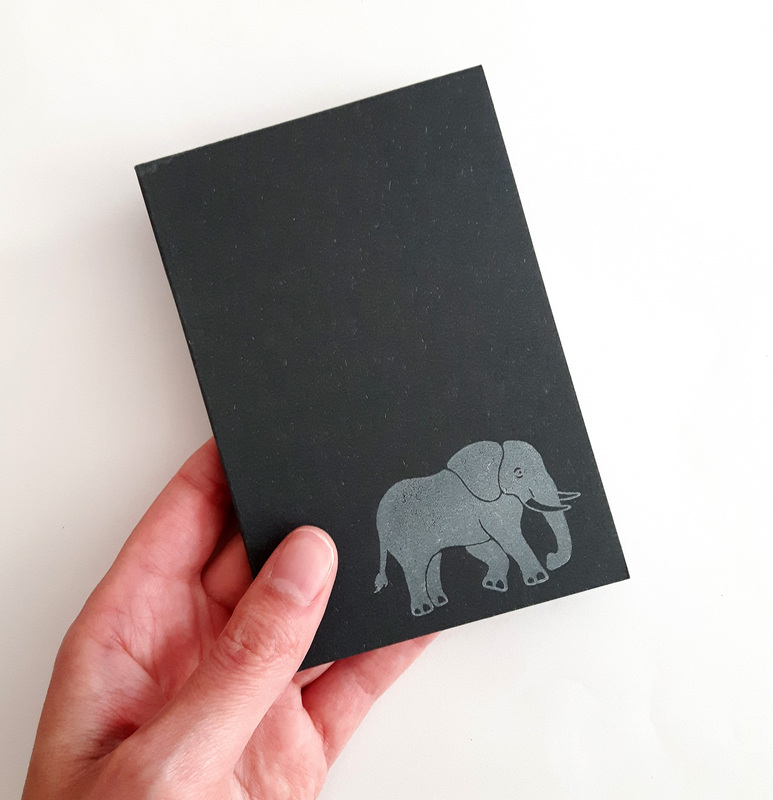 However, you can also choose from 6 different options from the drop down menu, and I’ll hand print it inside! 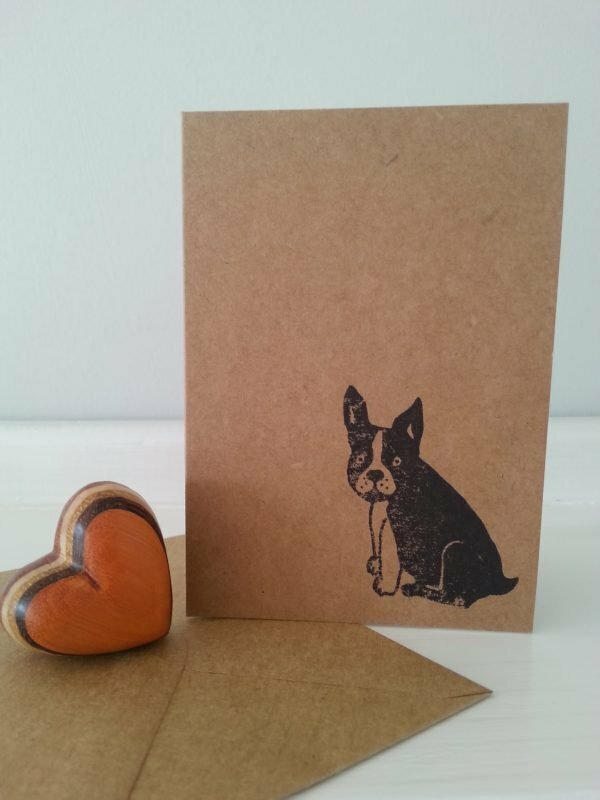 I add Frank the French Bulldog to each card by hand, using a custom stamp. 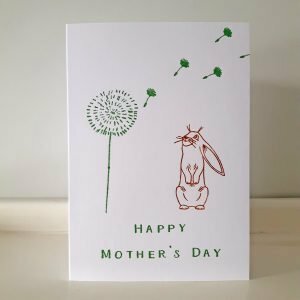 Your card will come with a matching kraft envelope. 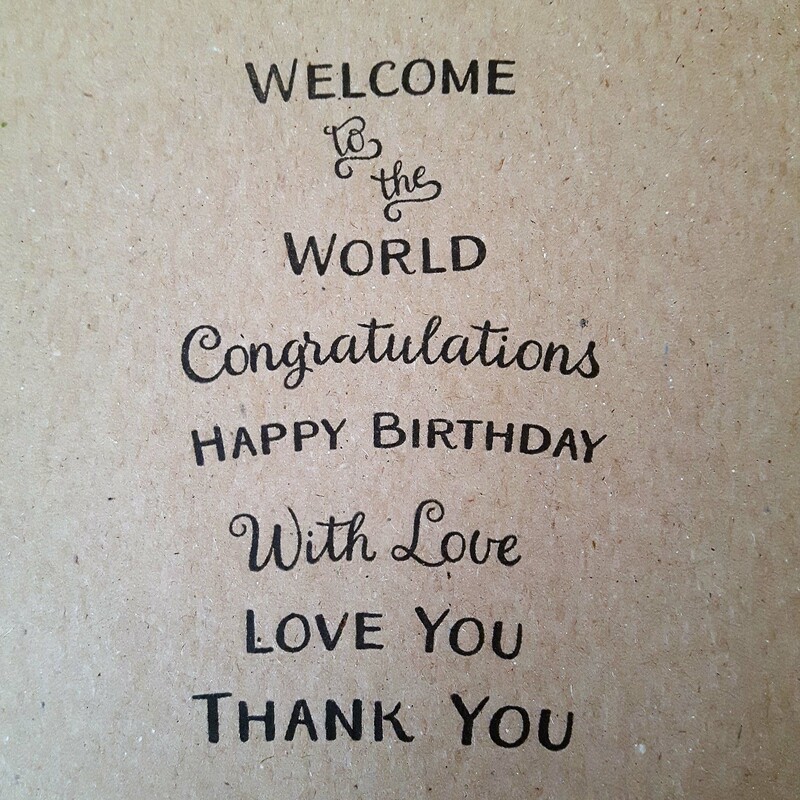 Both the card and envelope are made from 100% recycled materials. 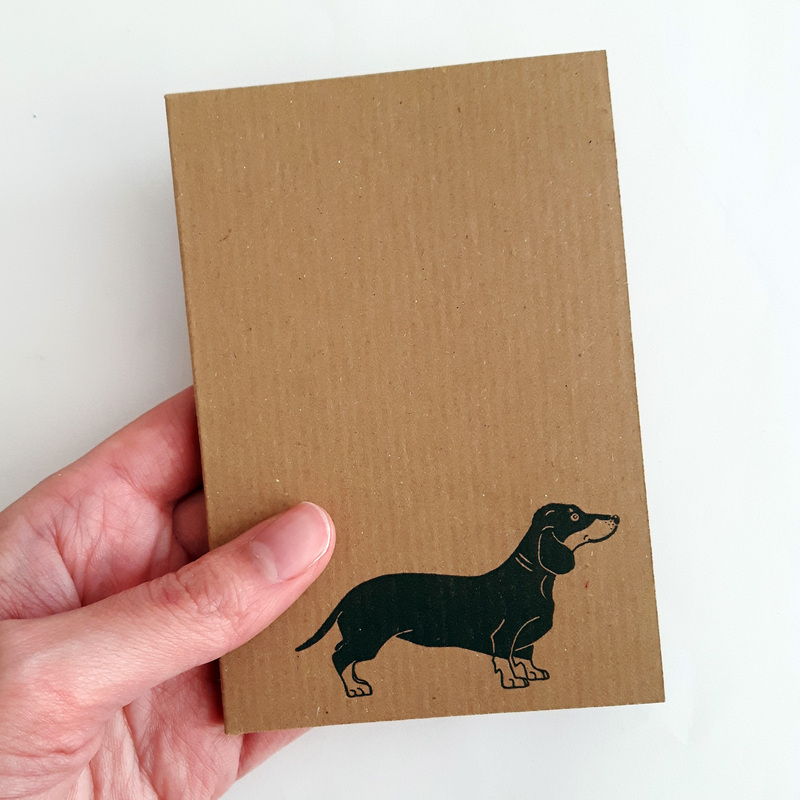 *PLEASE NOTE* – If you are planning to post these dinky cards outside of the UK, you will need to first place them within a larger envelope. This is because A7 items are classed as too small to be posted via airmail. This may also be the case for posting the cards internally within some countries outside of the UK, so please check before posting! 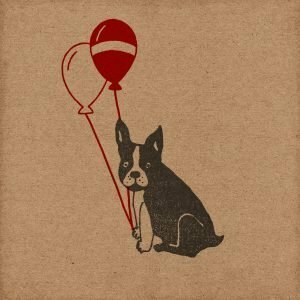 Looking for More Frenchie-Themed Goodness? 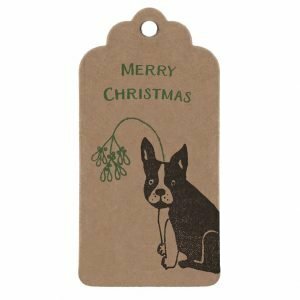 Find my whole range of Frank the Frenchie products, including wrapping paper, gift tags and more, here. 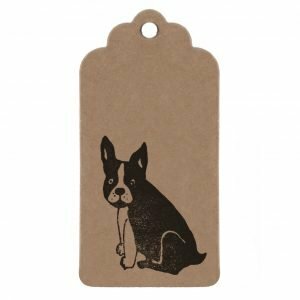 Finally, I can’t finish without telling you about Frank’s French Bulldog friend, Mabel, who also has her own range of goodies for you to check out here.